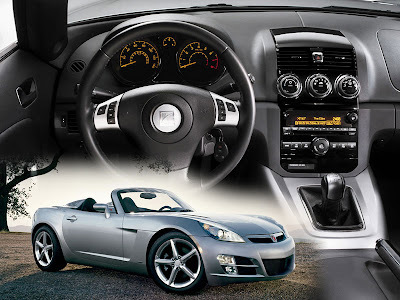 The Saturn Sky is the only sports car from the Saturn marque of American automaker General Motors. It was released in the first quarter of 2006 as a 2007 model. 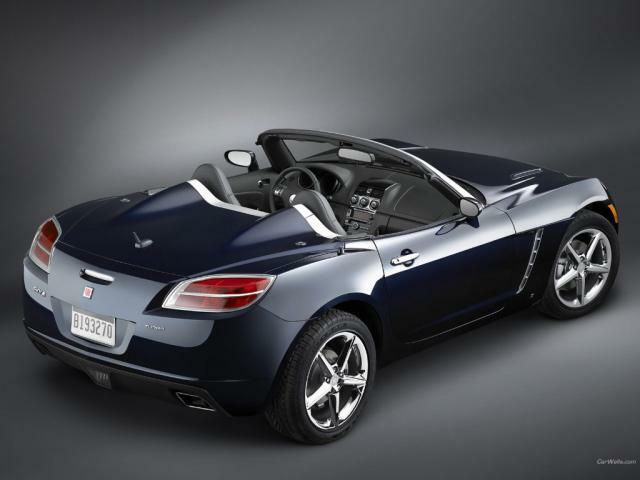 It uses the Kappa automobile platform shared with the Pontiac Solstice and Opel GT. The Sky concept was shown at the 2005 North American International Auto Show, with the production version following at the 2006 show. 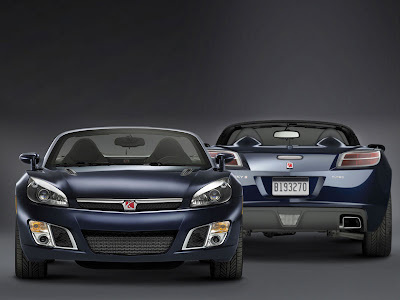 It was built at GM's Wilmington, Delaware plant, alongside the Solstice and the Opel GT. The Sky features 18 inch (457 mm) wheels and a 2.4 L Ecotec LE5 straight-4 engine that produces 177 hp (132 kW), a new straight-4 2.0 L direct injected engine that makes 260 hp (194 kW) as well as a turbocharged (dealer upgrade kit) version that makes 290 hp (216 kW). Both five-speed manual and automatic transmissions are available. The Red Line receives a standard torque-sensing limited-slip differential, standard StabiliTrak stability control, and an enhanced sport suspension over the standard Sky (currently available as a dealer-add on for regular Skys). Other exterior enhancements include dual exhausts, 18 inch wheels, and a specific front fascia modeled for the Red Line. On the inside the Red Line will receive a special leather wrapped steering wheel with audio controls, special embroidery on the seats and floormats, metallic door sill covers and stainless steel pedals, special tachometer and gauges, and a digital boost gauge in the Driver Information Center.